An offbeat and memorable weekend fitness experience, with a crazy bunch of people, over the majestic boulders flanked by a gorgeous lake; most importantly, one that didn’t burn a hole in my pocket – that is what BTC’s Kuntibetta trek was for me. As a first time trekker, I was patiently waiting for my calendar to sync with an ‘Easy’ level BTC trek event, having enrolled for BTC’s membership a couple of months back. I leapt up once Kuntibetta popped up on the BTC facebook events section, and registered for the trek. The itinerary e-mail from Ashish and Shilpa had good level of detail on the day’s agenda, including an impressive rendezvous description (involving a certain tree and a digital display board J) at the Bangalore City Railway station. 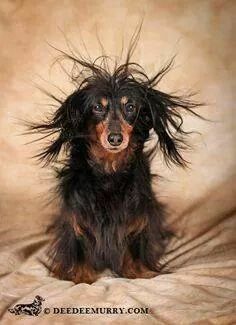 I had absolutely no difficulty locating the BTC SPOCs, as much groggy eyed as I was. By the time the group’s headcount numbered up to 25, I’d had enough conversation with a couple of people in the group that they (Varsha and Shekhar) had already offered to carry my water bottles in their bag, observing my first-timer discomfort with my bag, heavy with the bottles and the potluck lunch. 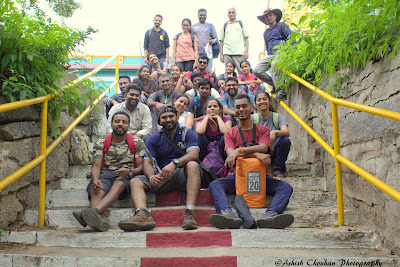 The group set out all geared up for the passenger train journey from Bangalore to Pandavapura, with Ashish efficiently shepherding the group - on to the right train platform - using his school PT master’s whistle (I actually LOL’d at the first whistle; high school memories). 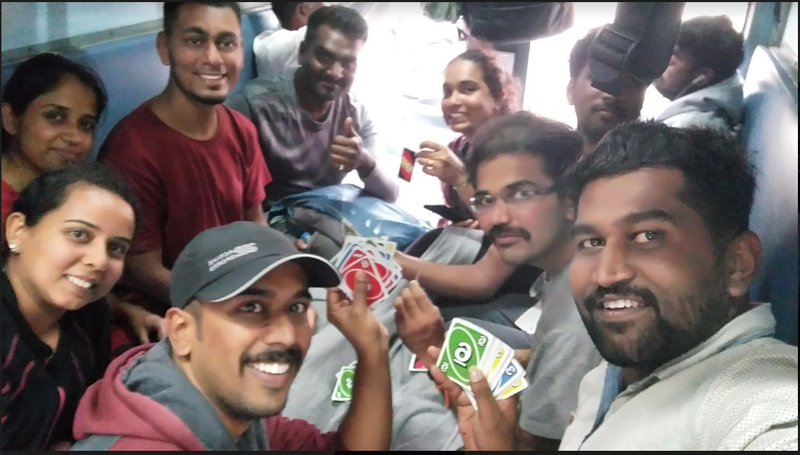 The train journey was eventful with ‘Bisi Bisi Maddur Vada’ vendors and their curious teenage customers who wanted to buy the vadas with PayTM wallet money J While a small section of our group started playing UNO cards - which I heard was an indispensable part of any BTC trek - I started making conversations with a few more in the group. I was already starting to feel good about the fact that I was finally spending quality time with a good handful of non-IT people for the first time in years. The organizers hired us auto-rickshaws for the remainder of the journey from the Pandavapura railway station to the foothills of Kuntibetta; not to forget the silly fights over who would get the open-air dicky-seat on the autos J The customary introductions were exchanged with the royal musical background of the neighborhood government school’s march-past drill. 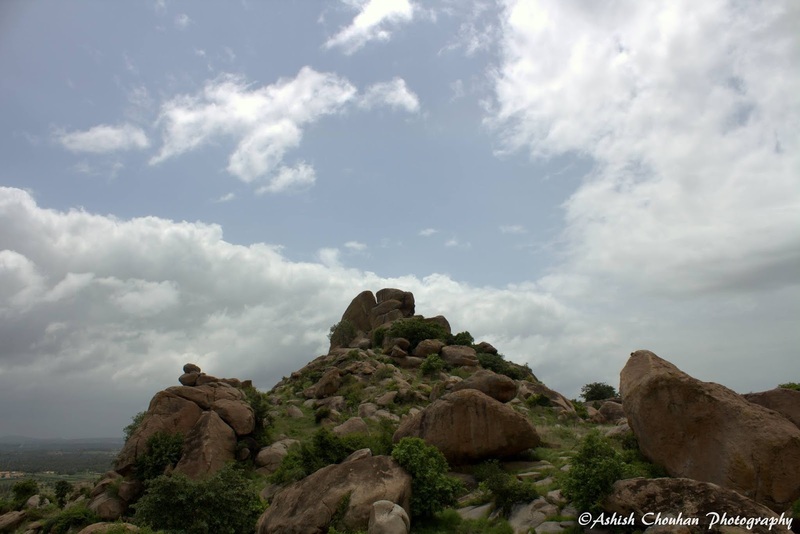 The craggy Kuntibetta hill stood elegantly in front of us, as we took a look at our target peak point. The initial ascent was not very tough but was a bit scary for me as a first-time-trekker. 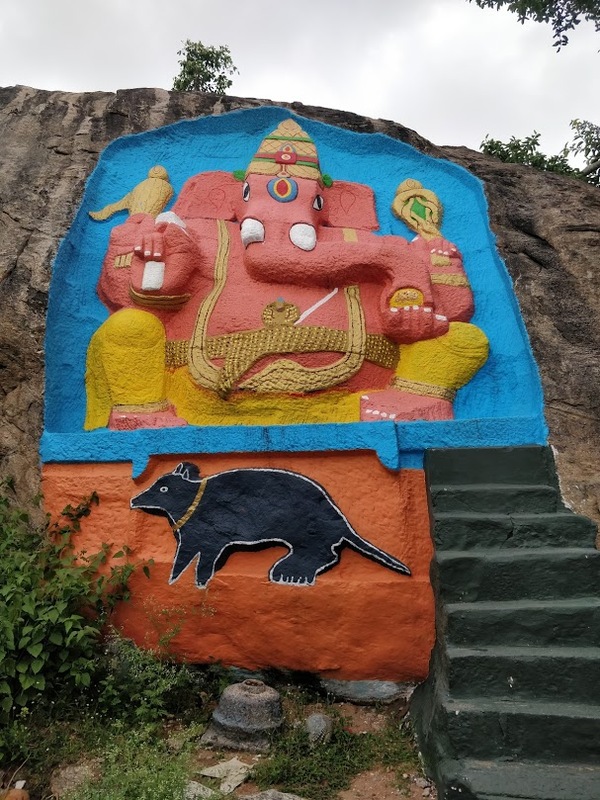 Once we reached a fairly high point, we realized that Kuntibetta was actually set against the clandestine beauty of the pristine Pandavapura Lake. I derived motivation for the rugged climb from the enthusiasm of the group, as well as the lake, which offered us pretty sights with its different pretty forms, as we went on. While I was struggling with the boulders, there was a guy in our group, who was like a spider-man jumping from one boulder to another in no time! It was so windy up there; while the traffic noise deafens us in the Bangalore city, the howl of the gushing wind deafened us and also caused quite a challenge to the equilibrium of our trekking limbs. 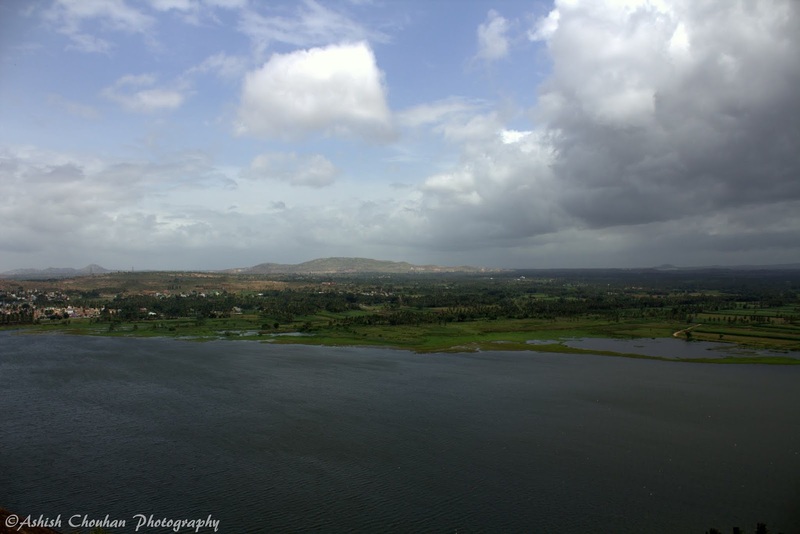 Luckily, it wasn’t a sunny day at all - the weather was pleasant and catalytic all through the trek. One small stretch of the trek was particularly tough for us with the boulders getting steeper and slippery. 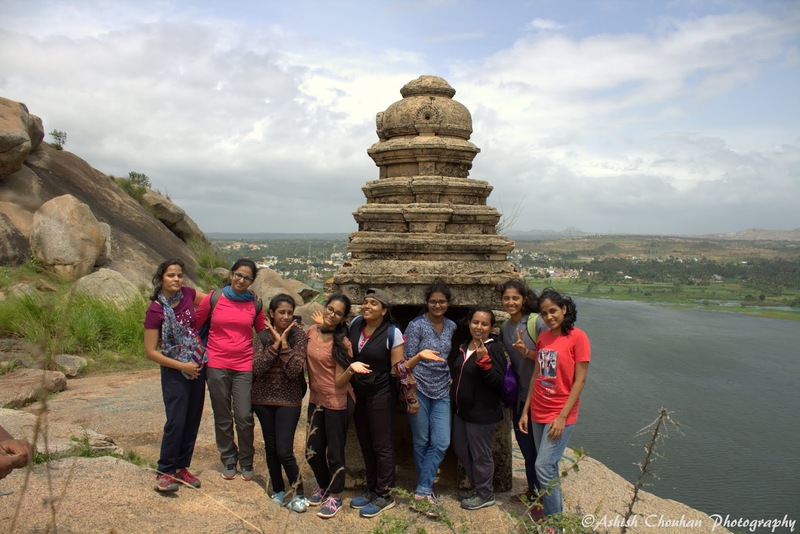 However, with such a mutually supportive trekkers group, comprising of many Baahubalis, it was a cake walk (cake trek? ), as the group hoisted up each other with the BTC veterans taking the lead. I got some real helpful insights on basic trekking techniques from some earnest trekkers in the group. Soon, it was time for our growling stomachs to do the talking. The most awaited potluck lunch happened next with home-cooked healthy delicious food. We all had a bite of everything, with Vidya getting impatient and running around the circle grabbing food. The group acted in adherence to BTC’s no litter policy. The journey downhill saw a light rain briefly; so brief that, while most of us were just trying to haul ourselves up into a raincoat, the rain had its face palm moment - watching us wriggle in the waterproof fabrics - and decided to give up. However, the rain rendered the rocks slippery that some of us had to rely on our palms as we sat down and slid on the slippery boulders. We ended up with real dirty pants, as a result. 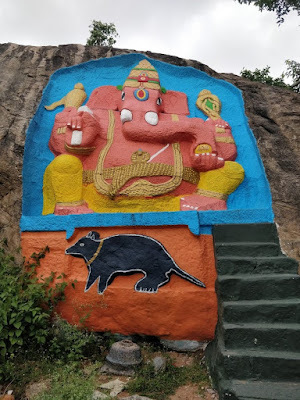 There was a humble temple at the foothills of Kuntibetta, outside which, was a big rock that had a painted Lord Ganesh carved out of it. Though there was no dearth for laughter and fun and pulling legs all through the trek, the craziest part of the trek was the fun we had over the natural slide-board (formed by water flow) on another huge rock near the temple; all of us were on our back-to-kindergarten mode. The concluding feedback session had the banging noise from the Pandavapura Railway station’s metal-roof setting the musical context, a fitting match to the introduction music. The return train journey saw more games of UNO and more Maddur vadas.